Deal 10 damage to each creature. 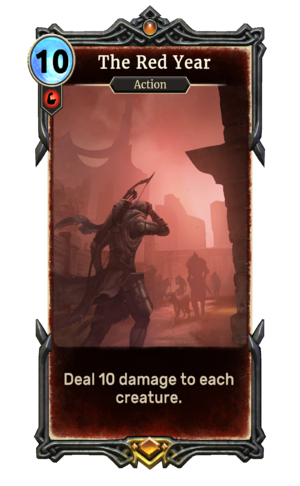 The Red Year is a unique legendary Strength action card. It is part of the Houses of Morrowind expansion. This card is a reference to the Red Year, in particular the eruption of Red Mountain.